On my last post, I began a series discussing how Correctional Medicine is different from medicine in the “outside world.” The first (and arguably the most important difference) is that medicine inside corrections has to be fair, whereas the bigger world of US medicine is not fair. 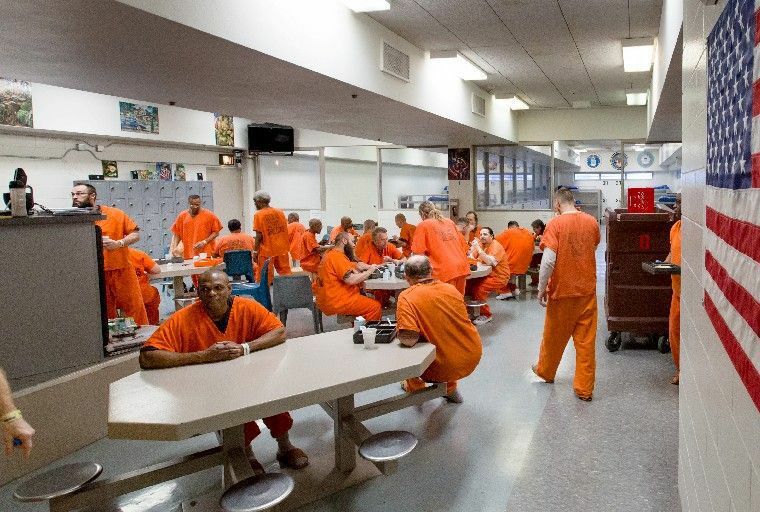 The second big difference between Correctional Medicine and outside medicine is this: Every clinical encounter in correctional medicine is discussed back in the housing dorm. This does not occur in outside medicine and is critically important to understanding doctor-patient relationships in corrections. For those not familiar with the housing situation in jails and prisons, most inmates are housed in large housing dorms or pods. Depending on the size of the institution, these can house anywhere from 10 inmates to over a hundred. 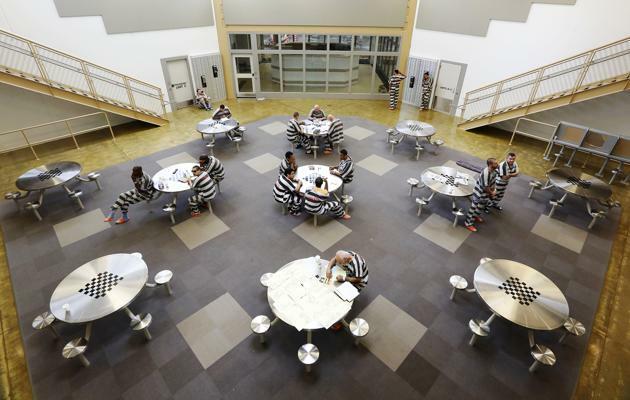 As you might expect from this situation, inmates spend a lot of time talking with each other, especially since they generally have more free time than your average person in the outside world. Inmates spend a lot of time talking to one another. So when an inmate returns to the dorm from a visit to the medical clinic, it is natural for the encounter to be discussed. If the encounter was unusual or noteworthy in any way, this quickly becomes known throughout the pod. And since different housing pods also communicate with each other, information about clinical encounters quickly spreads throughout the entire institution. This does not occur in any meaningful way in the outside world. Back in my Emergency Medicine days, my ER patients did not call up other ER patients when they got home to discuss their experience. General Medicine clinics are the same. The patients in, say, a family practice office, do not communicate with each other outside of the practice. With few exceptions, most do not even know each other. This strange phenomenon of patients in a medical practice communicating with each other about their experiences is unique to corrections. And it creates a unique dynamic that is critically important to understand if one is going to succeed in correctional medicine. In outside medicine, practitioners routinely favor some patients over others. Here are some examples: patient A and patient B call at the same time for an appointment for the same complaint. Patient A is told that the next available appointment is in ten days. Patient B, who is a personal friend of the practitioner, is told “Come tomorrow morning and we’ll work you in.” In another example, two practitioners work in the same office. Doctor X always gives a splint and a Norco prescription to patients with a sprained ankle. Nurse Practitioner Y, on the other hand, never does. If you have a sprained ankle, how you will be treated depends on which doctor you are assigned to. If you present with a sore throat, Doctor X always will give you a prescription for a Z-Pak. Nurse Practitioner Y rarely does; she is more likely to talk to you about viruses. Because of their unique situation, inmates can be quite sensitive to issues of perceived unfairness and special treatment. Anytime a medical practitioner does something for one inmate that they do not do for others, the perception of unfairness manifests itself as complaints, grievances and even lawsuits. Every aspect of a professional encounter is fair game to be discussed back in the dorms. If you dress well, like a medical professional, this will be noted and discussed. Other inmates will come to medical confident that they are seeing a true professional. Alternatively, if you do not look the part of a medical professional (think stained jeans, sandals, poor hygiene), this also will be noticed and discussed. Your patients will arrive with a poor impression already planted in their minds. Also, inmates know the security rules of the institution very well. If you violate security rules, this will be discussed back in the pods. If you do a special “favor” for an inmate, such as allowing a phone call or giving a gift (example: a piece of candy), every other inmate will learn about this and discuss the implications in detail. Other inmates will invariably ask you to do favors for them, as well. Do you have an example of how discussions back in the dorms affected medical practice? If so, please comment! This entry was posted in Inmate issues, Jail culture, Uncategorized and tagged evidence based medicine, inmates, jail medicine, prisons on September 12, 2016 by Jeffrey Keller MD. Simply- every correctional medical decision is a precedent. Every single time I approve or authorize something- I must have a clinical rationale why I would approve said item or deny said item to the next patient. You are 1000% correct in that every encounter is discussed. It takes about 4 hours for a facility to know if a “new” doctor is working and what to ask for. Best Advise is to be on the same page with other providers, It may be painful at the start but the request will decrease and you can spend more time treating as opposed to arguing about mattresses or shoes. Not sure how I missed this post – you hit the nail on the head! A couple of thoughts – in one instance an inmate filed a formal complaint with the Board of Medicine and Board of corrections claiming that I violated privacy by not closing the door in the exam room. That facility had several inmates come at a time and (despite the separate waiting room) would have them sit in the hallway just down from the exam room. One inmate convinced the other that it was a violation – though she admitted that she could not hear anything. Thankfully the ‘investigators’ determined that the encounters were not audible. The COs made the decision to have them in the hallway and Administration agreed. There was another time that an inmate was corresponding with one at another facility and conspiring to ‘set me up’ for a tort – her was damaging himself and claiming that the treatment caused the harm. Thankfully corrections intercepted the letters and put an end to it. Finally, in community the ER patients may not talk to each other but they do talk to friends and relatives – if an ER ‘Doc’ gets a bad reputation; you can be sure it will be ‘trash talked’ all over. There have been instances of patients leaving when they see who is on duty. Frequently, inmates who have ‘shaky’ prescriptions have the same provider – it seems the ‘community telegraph’ shares that too.